Officials from Portugal appearing at the regulatory and industry conference in the nation’s capital, surprised conference attendees and the online-gambling industry at large by revealing that they plan to partition the country’s online-poker players away from the global poker marketplace as soon as the country’s new regulatory and licensing regime passes European Union approval, which is expected to happen later this month. Once Portugal receives the EU go-ahead, the first of the officially licensed sites are expected to be available in February of 2016. Portugal’s government hopes the new licensing regime will provide tens of millions in revenue for the country, and the planned rates are among Europe’s stiffest. 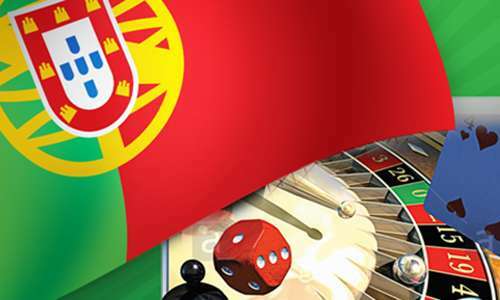 Games of chance, including casino games and poker, are expected to be taxed at a rate of 30% of gross gaming revenue (GGR), which in the case of online-poker may make it nearly unplayable amid Portugal’s single-nation context. Horse-racing wagering will also be taxed at 30% of GGR, though other forms of sports betting will be taxed at a lesser, variable rate, between 8% and 16%. The news about the virtual firewalling planned for Portugal’s poker-playing community came via comments from SRIJ [Serviço de Regulação e Inspeção de Jogos] Director and Head of Online Gambling Manuela Bandeira, who appeared at a panel on Monday at the GamblingCompliance Regulatory Briefing in Lisbon. Back in February, Portuguese officials announced that they would be implementing a regulatory regime requiring that all operators serving the country to be licensed via the SRIJ, which will be charged with overseeing the process. However, no special conditions were inferred regarding the nation’s online poker players, who up until now have been free to compete against other players from around the globe. Bandeira and the other Portuguese government officials present at the panel confirmed that the country would consider a private player-sharing pool with those three countries, should the opportunity arise. However, the shift in plans confirms that online poker is viewed as an afterthought by Portugal’s government. Online poker revenue has slid in all three of the countries Portugal plans to emulate, due to a lack of player liquidity, and Portugal, itself smaller than each of the other three, is likely to fare even worse. The single-nation market concept works much better in terms of online casino games, and even in sports betting, where customers wager against the house. Online poker, on the other hand, depends on a critical mass of players to allow a wide selection of games and stakes. By planning on following the Italy-France-Spain path, Portugal may simplify its own licensing and regulatory plans, but will likely kill off most of its counry’s possible online-poker market in the process. Several of the RGA’s member companies are believed to be among the 11 or so gambling firms that have already filed advance applications for Portuguese licenses. However, the full nature of what the new licensing regime will now entail appears to be a surprise to all. 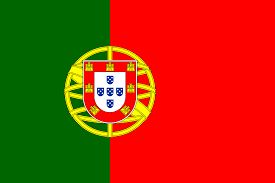 One of the panel attendees in Lisbon asked the SRIJ’s Bandeira if these applicants were fully aware of the planned Portuguese market rules, to which she replied “Yes!” according to a PN Portugal update. But representatives of those applying countries indicated otherwise, according to that report.